Ross & Cromarty Roots | Kirkton of Lochalsh Burial Ground. Kirkton of Lochalsh Burial Ground. 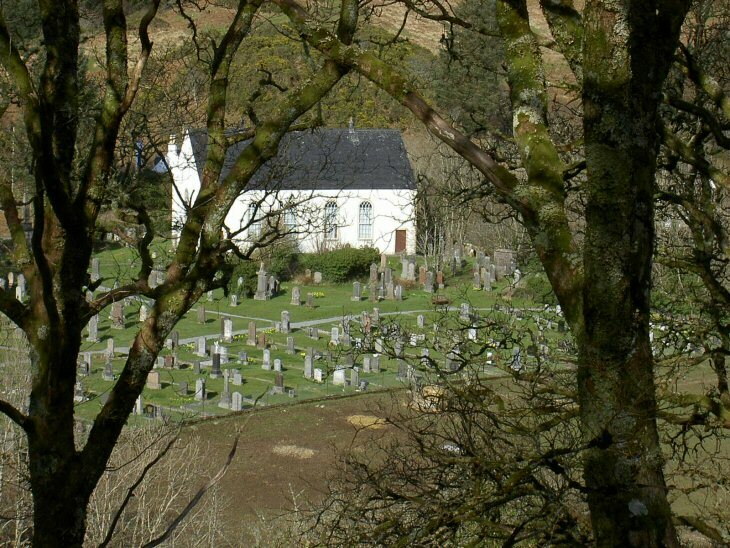 This is the main burial ground in Lochalsh parish. It is situated on the south side of the A87 road about 6 miles east of Kyle. On a hill on the the opposite side of the main road is the burial ground at Cnoc nan Aingeal (Hill of the Angels), accessed by path up side of burn. Picture Added on 18 October 2009.